We are a leading Manufacturer of gate gears rack and lift rack from Mumbai, India. 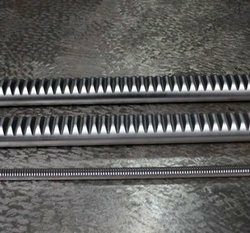 We are counted amongst the foremost manufacturers and suppliers of a broad range of Gate Gears Rack. The gear rack offered by us is manufactured by using top quality material keeping in mind the set norms. This gear rack is examined by our quality checkers to dispatch a perfect range at client's premises. Along with that, offered gear rack can be customized as per the market preferences. 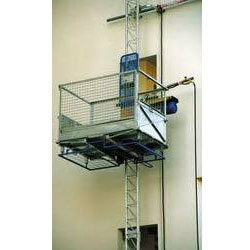 With our rich industry experience, we are engaged in offering a broad range of Lift Rack. Known for its durability, high tensile strength and corrosion resistance, this lift rack can be customized as per market demand. We manufacture this lift rack using finest grade material & contemporary techniques. Offered lift rack is thoroughly checked by the quality checkers on diverse parameters to assure its faultlessness at customer’s end. Looking for Gear racks ?